Scolari has done enough to stay in my opinion. People are quick to forget, but in the Confederation cup Brazil they blew away Italy and Spain (The Euro 2012 finalists). Remember how they were in Copa America with Mano Menezes before Scolari took over? They needed Fred as a sub to get out of the group stages and eventually got eliminated in the first elimination round. I think he has improved the results and Brazil hasn't gotten to the world cup semifinals since 2002 (when Scolari was at the helm the first time), it's not Brazil's divine right to win just because they are on home soil, the quality of their talent has incredibly declined over the past years, that's undeniable. 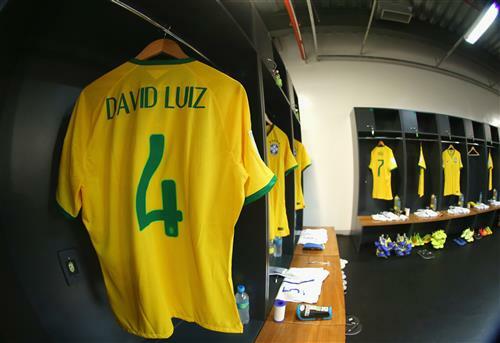 Playing for pride - Brazil need a performance today. I would love to see De Vrij at United! He was one of the best CBs in Eredevise last year, has been impeccable in the world cup and a world class Dutch CB is long overdue. Fits United perfectly, what do you think, Tom? Udyat, he'd be a fine buy - I think Van Gaal will try to bring in Blind, De Vrij and Hummels, as well as one of Vidal or Di Maria. Third place or Fourth place play off, we have the BOOT ROOOOOOOOM! What is everyone prediction of today match? United vs. Real in Michigan some date in August. Not sure exact. Hammin, Rio has left United this summer - he's now a free agent. What about Lovren, Rodriguez and Osvaldo? I'd rather Soton sorts it out sooner than later. 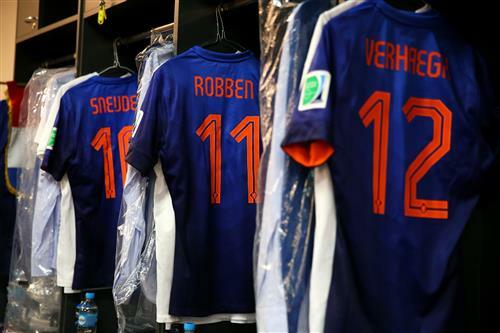 Are you backing Netherlands for third place? Who will be runners up of today's match? Still catching up on some of the moves. This nederlands team is very much a young one like the brazilians, do you think if the nederlands were to play with germany, they would be whooped 7-1 too? what do you think tom? Who are the biggest spenders in the transfer window thus far? Chelsea? Jonjon, I think Van Gaal is too tactically astute to suffer a 7-1 loss - he knew the weaknesses in his Dutch side, so set them up accordingly. They might not have beaten Germany, but I seriously doubt a defeat by more than 3. Tom - do you expect Jozy to be with Sunderland again next year? 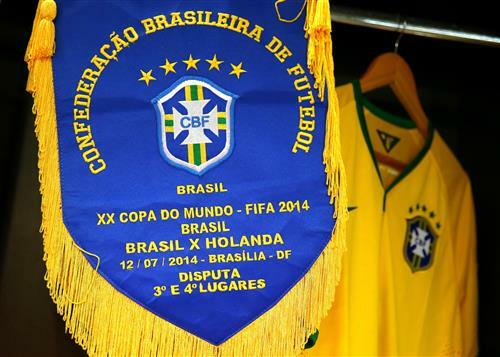 This game is more meaningful than all the other International friendlies put together. If the atmosphere in the ground is rocking- which it might be... it should not be disregarded as a pointless endeavour. How will David Luiz shape up today after his horror show against Germany? on a serious note tom, consider having bootroom say once a week after the world cup .. I am sure all of us missed boot room after the suarez news came in? kaniskh, it would have been a joyous day of ridiculousness - I'll pass the message on! Remember, the Boot Room will be back every weekend and for the Champions League & Europa League nights as well! Jon, I think so - he's got the talent, but not the temperament yet. He needs to add a sense of calm and precision to his play that eludes him at the moment. Steve, the Boot Room usually opens for the EPL games, so any time from 07:00 ET / 12:00 BST onwards. We've still got two games left, Neil - hold your horses! Yea but we have a break from now till the start of the season .. and in the meantime we will have transfers and pre season friendlies to talk about. So boot room on weekends is the demand of the time! 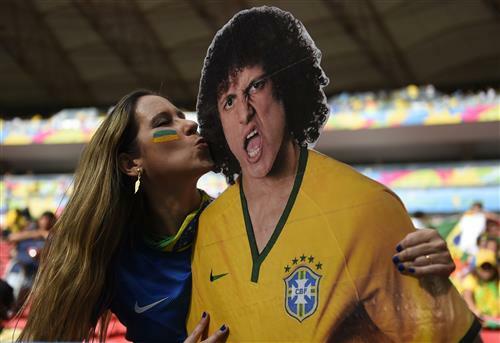 There's still a lot of love for David Luiz today. Tom, Which dutch or brazilian players should be dropped from the national team permanently after this world cup? Jon, I'll throw that out to the GBR - what do you lot think? Steve, I'd agree with you on that one. Compared to somebody such as Lahm, he really needs to improve the tactical element of his game. Had a strange dream last night. Brazil were still losing. There was chaos everywhere and out comes a giant thing that cannot move too well and everyone was pointing and shouting, 'FREDZILLA! FREDZILLA!' Then out of nowhere, Maradona comes along and sings, 'Brasil, decime que se siete' and he fell asleep in the stadium watching Argentina and Holland play. Luiz needs to find his true position. He's not a John O' Shea type of player! Tom, will you stay and be the EPL BR guy after the world cup? You're awesome! !